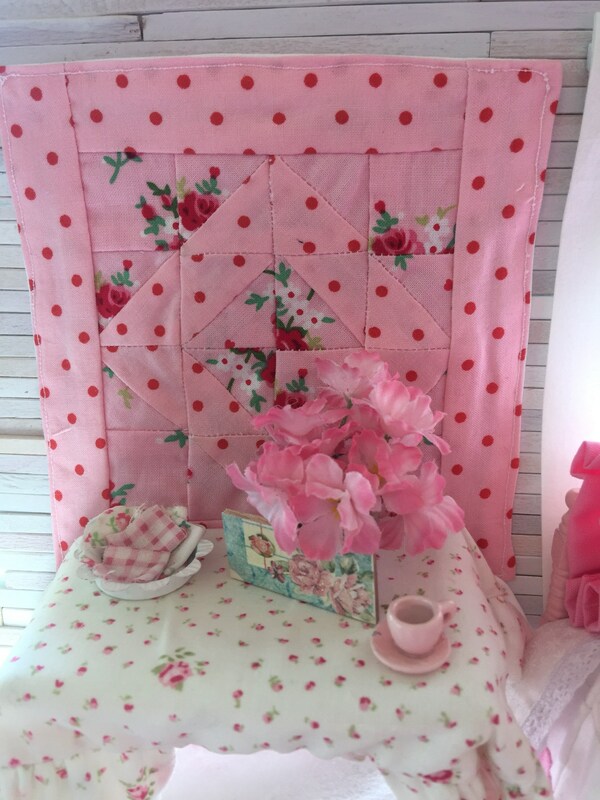 Ribbonwood Cottage - Making Lovely and Delightful Things. 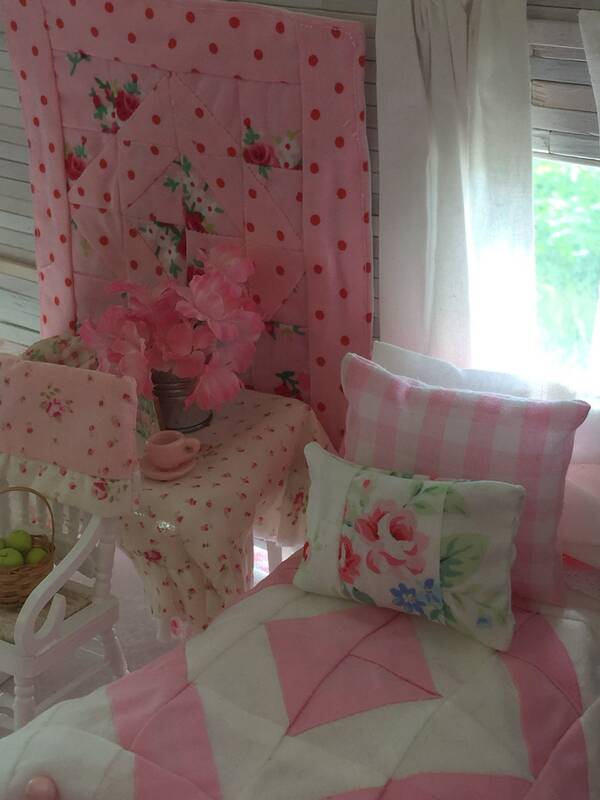 No matter the season of Life, Ribbonwood Cottage is focused on making life more beautiful! 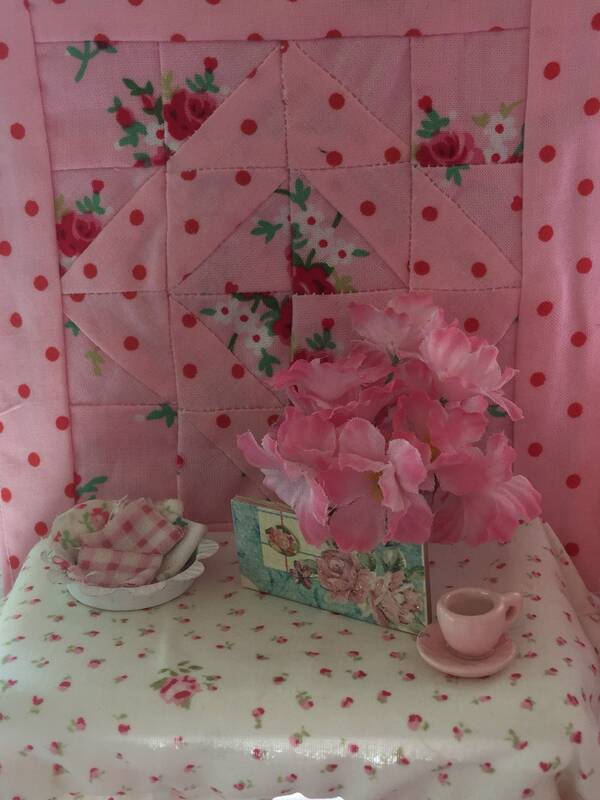 Approximately 5” x 5” this wonderful patchwork quilt is made using red and pink fabric from Lecien fabrics which is a Japanese quilt fabric company. Simple in design the tiny little blocks measure between 1” and 1 1/2 inches. Machine stitched together it forms this small quilt. Most miniature Dollhouse beds range 5” to 6” in length so I used this as a wall hanging instead. 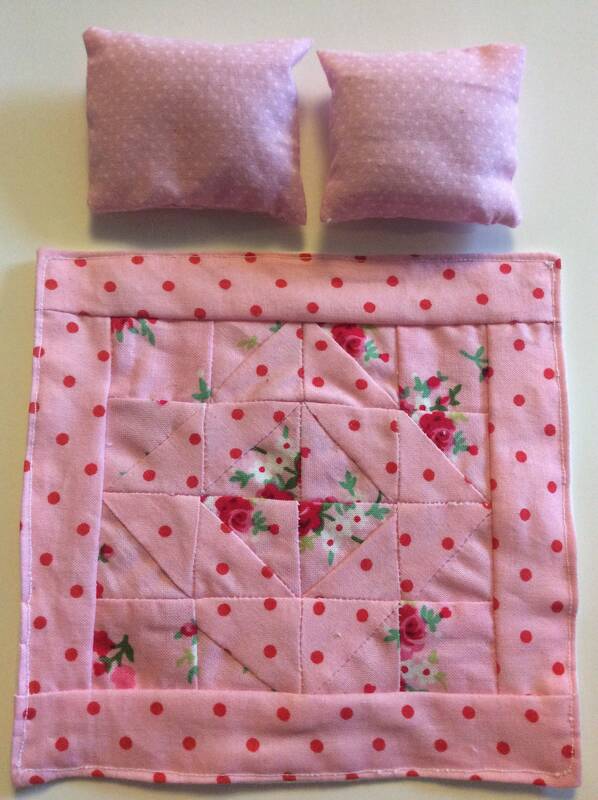 However it would fit on a Dollhouse single sized bed or folded at the end of a bed. 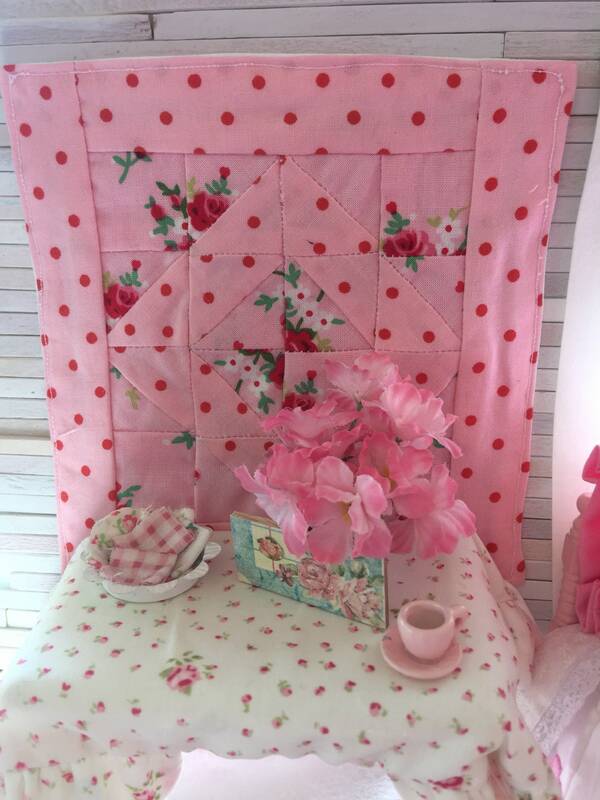 Patchwork quilt is not Hand quilted but machine stitched. My own quilt pattern is used. It’s a very simple pattern and can be found in my shop. I accept Paypal, money orders and credit cards. If you need to do a lay-away plan I can also work with you individually on that as well. If you return an item please realize it may take a 2-7 day time period for money to refund to you from Etsy or PayPal. And that is set in motion after I receive the item back in the mail. And due to the nature of digital items I cannot refund the cost of a paid for digital pattern. I however can email the link or pattern to you should you have difficulty opening up the digital pdf file. I try to ship within 3-5 days. While keeping shipping costs down I take a common sense approach to shipping. Appropriate packaging and shipping for items sent. I am able to refund as long as there is a valid reason for refunding. I am not however able to refund the cost of a digital download that you have access too. Nor am I able to refund the cost of my work when I have done a custom order with your measurements. I can give you store credit to purchase something else. I had someone order 400.00 worth of products, and then cancel a few days later as I was mailing out their package. That is rough....especially if you just made your house payment! I ship worldwide, please just communicate with me if you want something and I don't have postal information for you. I'm not able to sell wholesale at this time. Please be advised that other countries may charge additional rates for customs and mailing privileges. I am not in control of these charges.